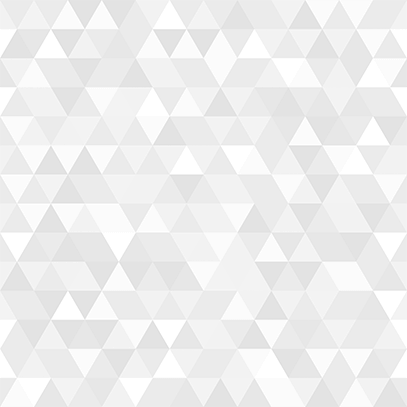 What's with the Brownfield Authority? Recently I have had several questions about why the Brownfield Redevelopment Authority is listed as receiving part of the library revenues generated by the upcoming ballot proposal. It is confusing and honestly some folks have told me they don't want to support the library millage if some of their taxes are going to the Brownfield Authority. I hear you. I don't like it either. However, tax captures are a part of our reality, especially in the City of Marquette. And, it doesn't seem like this will be something ending anytime soon. It's really confusing and I wish there was an easy solution to this issue. But, unfortunately there are more threats to public funding than JUST the dark stores. The library is projecting a serious loss of funding in the next year. Without additional revenue, the library may have to cut services and/or service hours. Voting no on the library millage won't keep the Brownfield Authority from getting part of library millage funds. As soon as the hospital moves to their new location; their taxes will be directed to the Brownfield Redevelopment Authority and not the Library. For more details on how much funding the Library WILL receive as well as more information about the Brownfield Authority keep reading. As always, I am happy to answer any questions you may have. Please feel free to call, email or stop by with your questions. On November 6, 2018 the Peter White Public Library will be on the ballot in five service areas: City of Marquette, Chocolay Township, Sands Township, Marquette Township and Powell Township. 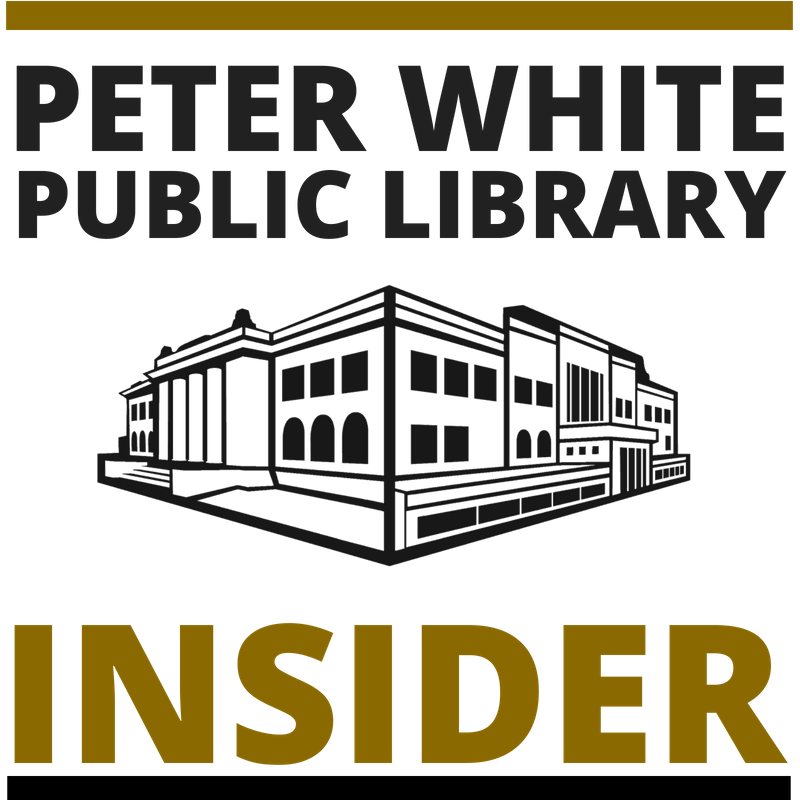 The Headlee Override ballot proposals in the City of Marquette, Chocolay Township and Sands Township should generate over $150,000 in revenue for Peter White Public Library. This revenue is essential in order for the library to maintain current service levels. 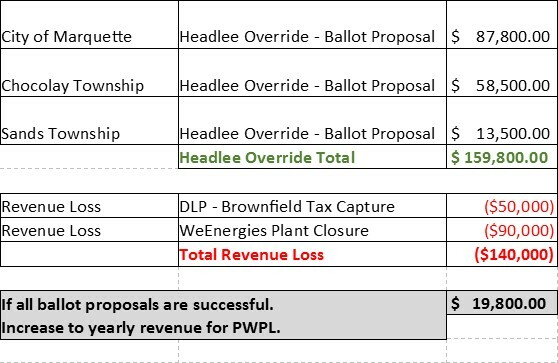 By the year 2020 the library is projected to lose over $140,000 in annual revenue due to the DPL (Hospital) Brownfield tax capture and the closing of WeEnergies Presque Isle power plant. Shall the tax limitation on all taxable property within the City of Marquette, Marquette County, Michigan, be increased and the City be authorized to levy a new additional millage in an amount not to exceed .1315 mill ($.1315 on each $1,000 of taxable value) to restore the full amount of the previously authorized millage lost as a result of the Headlee Amendment millage reduction for five (5) years, 2018 to 2022 inclusive, to be disbursed to the Peter White Public Library for the purpose of providing library services to the residents of the City of Marquette and for all other library purposes authorized by law? If the millage is approved, the estimate of the revenue the City will collect in the first year of the levy (2018) is approximately $95,000. Funds from the millage will be disbursed to the Peter White Public Library and the City of Marquette Brownfield Redevelopment Authority. How much money will go to the library? The Brownfield Redevelopment Authority will begin to capture library taxes as soon as the hospital moves to their new location. The Library is estimating ~$50,000 in yearly operating revenue will be captured by the Brownfield Redevelopment Authority. Library taxes from the hospital will be captured by the Marquette Brownfield Redevelopment Authority for 24 years. (In essence, the hospital will pay taxes to pay the Brownfield debt obligation instead of paying the Library.) In 24 years the library will begin to receive some tax funding from the hospital. After 30 years the entire debt obligation will be paid off and the library will begin to receive full annual tax payments. The library is not able to opt out of any Brownfield tax captures, and must disclose the captures in the ballot language.